V.I (from BIGBANG) - 僕を見つめて[GOTTA TALK TO YOU] MV Short ver. (Weekly Idol ウィクリアイドル EP.285) ビッグバン BIGBANG Show me the V.I Card ep.01. Ellen Makes &#39;Friends&#39; with BTS! Global phenomenon BTS sat down with Ellen for their U.S. daytime TV debut, and talked about their loyal BTS Army and learning English from "Friends"! 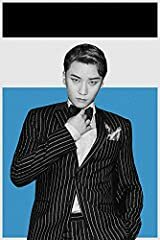 SEUNGRI 2018 1st SOLO TOUR IN JAPAN Track List: 01. STRONG BABY 02. LET'S TALK ABOUT LOVE 03. GG BE 04. 僕を見つめて [GOTTA TALK TO U] 05.